Getting from Geneva Airport to ski resorts in France is usually cheapest on transfer buses operating to major winter sport stations in the French Alps. Shuttle buses bring skiers from Geneva Airport (GVA) to many winter sport resorts in Savoy (Savoie & Haute Savoie) in the French Alps. Regular shuttle buses are available in winter from Geneva Airport to ski resorts in the Mont Blanc (Chamonix), Tarentaise (Val d’Isere, Courcheval, etc), Portes du Soleil, Grand-Massif, and Grenoble areas. Airport shuttle buses are often the cheapest way to travel from Geneva Airport to ski resorts for individuals and couples but in some cases private minibus transfer services may be competitive and convenient for small groups and families. Compare prices before booking as prices vary widely. Taxi2Airport and Suntransfers give easy online quotations without requiring personal information in advance. All buses depart from the international / Swiss sector at Geneva Airport. No public transportation buses run from the French sector. Regular shuttle bus services are not available from Geneva Airport to resorts in the Jura Mountains. Weekends, especially Saturdays, are the busiest times at Geneva Airport. Allow extra time for check in and security and book transportation well in advance. Shuttle buses are generally the cheapest option for individuals and couples. Children under 12 get discounts on many buses. Group discounts are usually available for groups as small as four adults booking and traveling together. Online reservations usually save a few euro / franc. Return reservations are often significantly cheaper than two one-way tickets. Car and autocar are French for long-distance touring buses and not passenger cars. Reservations are sensible and in some cases essential for travel from Geneva Airport to ski resorts. The return journeys from ski resorts to Geneva Airport almost always require advance reservations. Abondance, Aime, Avoriaz, Nourg St Maurice, Brides les Bains, Chambéry, Chamonix, Châtel, Couchevel, Crolles, Flaine, Grenoble, La Chapelle d’Abondance, La Clusaz – Manigod, La Plagne, La Rosiere, La Tania, Le Grand Bornand, Les Arcs, Les Carroz, Les Contamines, Les Gets, Les Houches, Les Menuires, Meribel, Morillon, Morzine, Moutiers, Peisey – Vallandry, Pralognan la Vanoise, Saint Gervais les Bains, Saint Jean d’Aulps, Saint Jean de Sixt, Saint Martin de Belleville, Sallanches, Samoens, Sixt Fer à Cheval, Taninges, Tignes, Val d’Isère, Val Thorens, and Valmorel. Many more resorts can be reached with transfers in France. Chambéry, Annecy, Albertville, and Grenoble have important bus stations with connection services to many resorts. 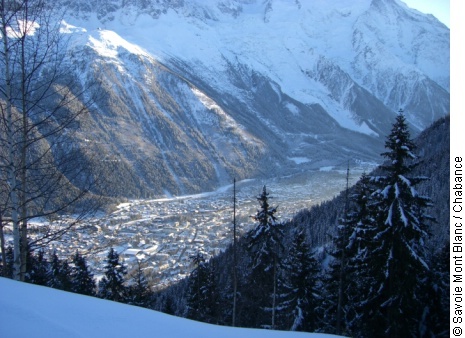 Altibus coordinate many transfer services to French Alpine ski resorts. Some buses operate only during the main ski season and not on all holidays. Some services operate only on weekends and there may be significant gaps in the timetables. Always check with the applicable service provider before making arrangements. Taxi2Airport and Suntransfers give online quotations for pre-booked transfers without requiring personal information in advance. Trainline is often the easiest site for buying online train tickets for Switzerland, France and much of Europe. Swiss Railways English website for online timetables and ticket.